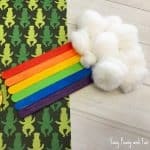 Time to make a lovely little shamrock decoration! 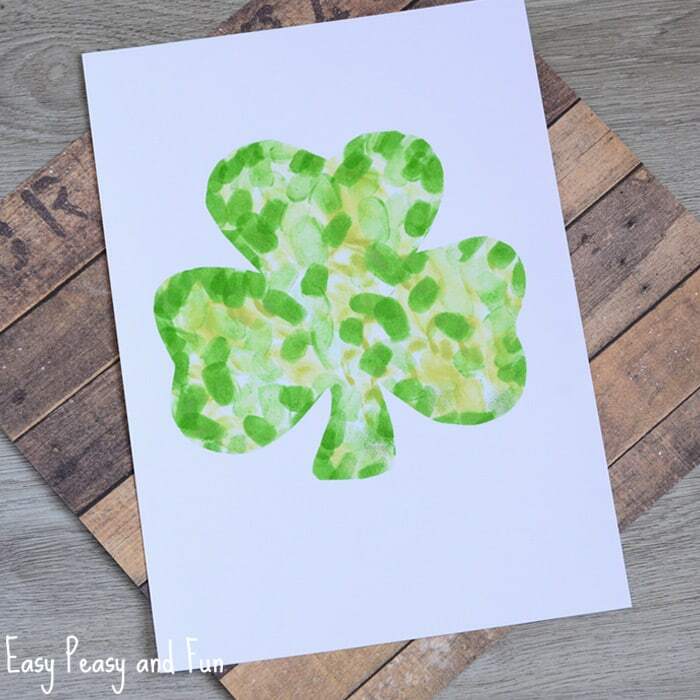 This Fingerprint shamrock craft is a great project to do with the kids for St. Patricks day, it’s fun for all ages, small kids will work on their fine motor skills while older kids will just have fun creating. 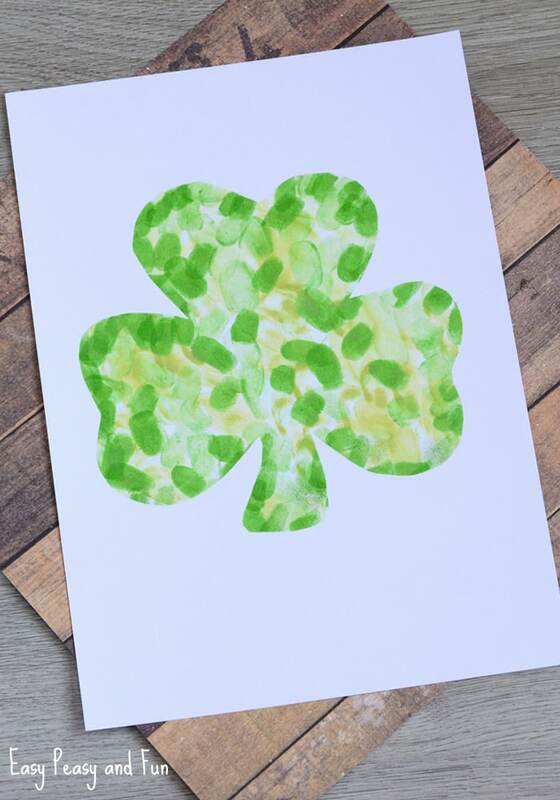 Start dipping your fingers into ink pads and press them down inside the shamrock outline. 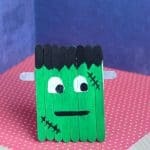 Make sure you press down along the boarder too. 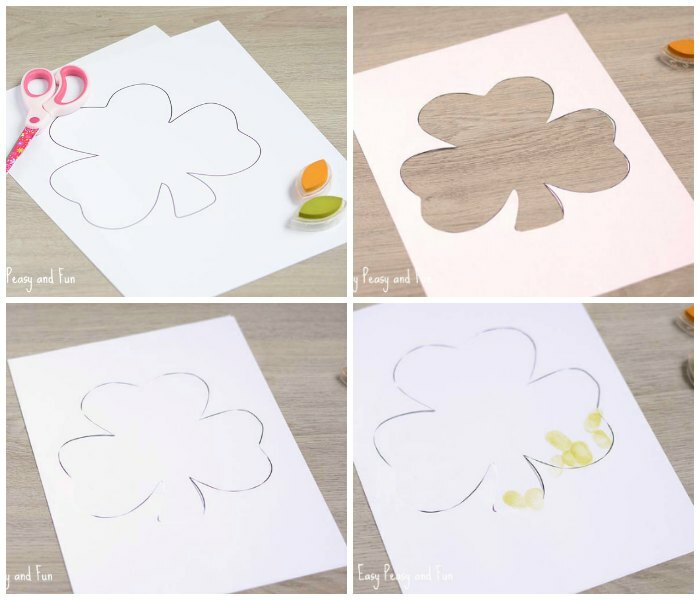 Once the whole shamrock is covered with fingerprints, remove the top sheet of paper. 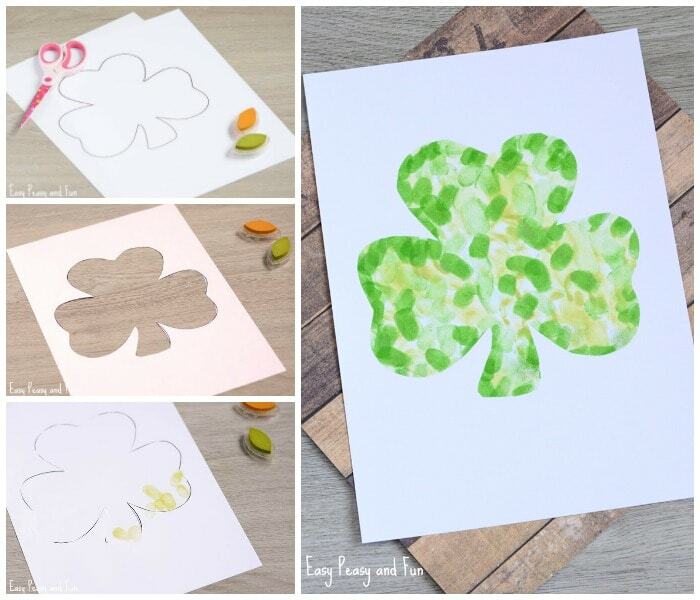 Isn’t this Fingerprint Shamrock Craft fun to make? 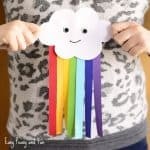 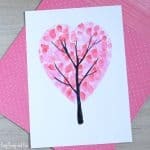 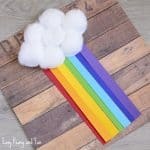 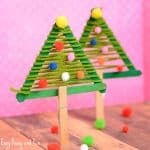 Make these on a heavier paper and you can also use them as wonderful, personal greeting cards.